Essential oil is generally used in making of cleaning products, beauty products and to use in diffusers to make air quality better within your home. Visit us! Essential oils have been around for centuries, and for those of us using them, essential oil recipes are very handy. These natural oils are obtained from the leaves, roots, bark, flowers and stems of certain types of plants. The extraction process is delicate and includes one of the following three methods: steam distillation, enfleurage or expressed oils. These oils are used in a variety of ways to enhance your physical, spiritual and emotional state. You can also use them to make beauty products and as a way to purify your home. However, mishandling these oils can be dangerous. Essential oils are highly concentrated, so it’s important to exercise caution when using them. Be sure to follow the directions precisely. Here are some essential oils recipe ideas to get you started. 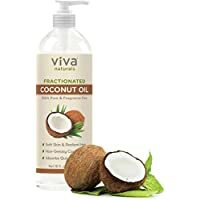 Essential oil skin care recipes are very popular today because these homemade products can give users a natural way to keep their skin looking young and beautiful. Applying undiluted oils directly to your skin can cause allergies and other problems, but essential oil recipes explain how to mix the oils correctly to make them safe to use. Mix in a dark bottle and use daily before bed for gorgeous looking skin. Works great for both face and hands, and absorbs easily, without leaving skin greasy. The perfect way to dip your toes into using natural beauty products you make yourself! Essential oils are extremely versatile. Depending on which oils you choose and what you mix them with, you can clean anything, keeping your home sparkling, without the harsh chemicals found in commercial cleaners. 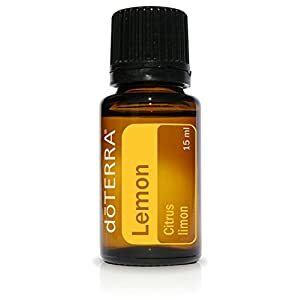 doTERRA Lemon Essential Oil 15 ml Some essential oil newbies might want to start by adding some oils to their existing cleaning products to give them a boost and start slowly. Whichever way you go (all the way or gradually), I promise you’ll never look back. Mix the water, vinegar and essential oils and shake well before every use. This easy to make, inexpensive mixture, works as well as any store bought cleaner. 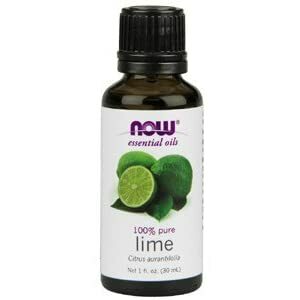 My favorite oils for cleaning are lemon oil, peppermint, and tea tree oil. But you can always try new combinations to see what YOU enjoy the most. 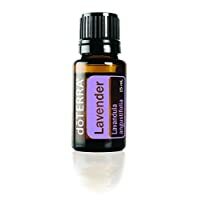 If you have trouble falling asleep or staying asleep all night, you can try some lavender essential oil recipes in your diffuser: lavender is an excellent choice for helping you relax so you can fall asleep faster. Other essential oils that are great for helping you relax and sleep include Roman Chamomile, Sandalwood, Ylang Ylang and Cedarwood. My favorite sleep blend is made with only 3 ingredients and it works wonders! Mix all the above in a roller bottle and use on the bottom of your feet before bed: you’ll sleep like a baby! Diffusing essential oils is, in my opinion, one of the best ways to introduce someone new to essential oils. When I started using oils, my husband wasn’t convinced of their effectiveness, and I didn’t want to force my views on him: I wanted him to realize on his own that the oils are good for him. I set out my difuser and every day I tried different essential oil blend recipes: one day I used peppermint (and oh, how he loved it! ), the next day I added lavender, and the third day I tried cinnamon oil. And by then, he was more willing to give the oils a chance. Make your own essential oil recipes for diffuser, by trying different combinations. Soon, you’ll know what your family loves the most. If you don’t have a diffuser, you might want to know a bit before choosing your essential oil diffuser. Here’s some information about essential oils diffusers. There are many different styles of diffusers to choose from, making it easy to find something that suits your taste and décor perfectly. However, they all fall into one of four categories which determine how the essential oils are dispersed into the air. Diffusing essential oils freshen and purifies the air much in the same way that air fresheners do but without the chemicals. The oils are natural and offer therapeutic advantages such as boosting energy and improving both your mood and concentration. There are many essential oil diffuser recipes to choose from depending on what you want to accomplish. For example, placing 2 drops of wild orange and 2 drops of peppermint essential oils in your diffuser will give you a quick boost of energy and make you more alert. If you’re a pet lover then you’ll appreciate essential oil recipes for diffuser that help to eliminate odors such as this one. Place this mixture in your diffuser and your home will smell fresh and clean. If you’ve never used essential oils before, don’t worry. You don’t have to be an expert to enjoy the benefits. There are many easy essential oil recipes available for beginners. Once you get the hang of it, you can move on to essential oil blend recipes that offer aromatherapy or medicinal benefits. Essential oils do have many health benefits when used correctly. However, when used improperly they can pose a health risk. 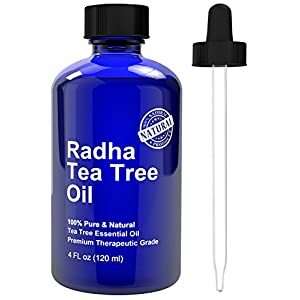 In their undiluted form, essential oils are highly concentrated and can cause skin irritation and allergies when applied to the skin without being diluted first. That’s why using a recipe that explains how to mix the oils with other ingredients correctly is so important. Be sure to follow the directions carefully and never use more of the essential oils than the recipe calls for. You should also be careful using Young Living essential oils recipes or doTERRA essential oils recipes that call for using these oils as part of food ingredients. Ingesting essential oils can be very dangerous since they are so potent. It would be very easy to overdose, which could lead to poisoning or even be fatal. This is why many professional aromatherapists, herbalists and traditional health care providers advise against it. Essential oils can help lift your spirits and give you more energy. The beauty recipes can help make your skin and hair healthier. The cleaning recipes can help you keep your home clean without using products that contain harsh chemical that are bad for both you and the environment. When used correctly, essential oil recipes can have a huge impact on your life in a positive way. skn tag with cotton, then covered it in a little plaster. barely hemorrhaged in any way. Do not diffuse or apply melaleuca on or around cats! So only use the Odor Eliminator recipe above if no cats are around. Why should you not use melaleuca around cats? That is mainly why I am interested in this recipe, because of cat odor. Thanks! You can still use the recipe to diffuse if the cat is in a different room. Once your room is refreshed, you can let the cat back in.